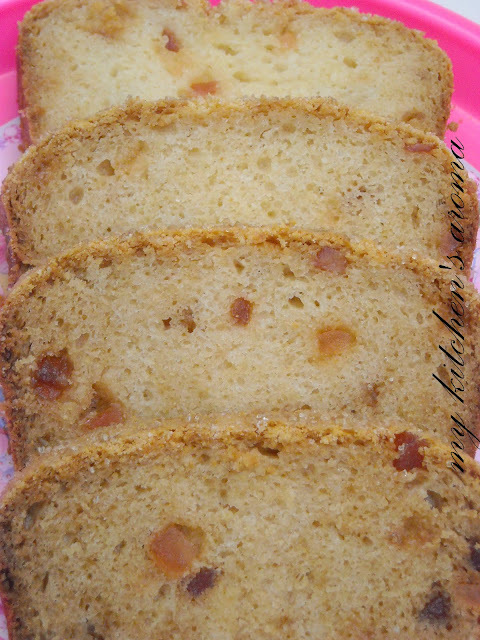 After making eggless cake with milk powder i thought of making eggless cake with sweetened condense milk.I googled it and read few recipes.But the recipe i used is the same recipe which i used it for my other cake recipes.The recipe of the cake i use is a standard ones which i alter with different additions like purnes,nuts,milk powder,jams etc....This time i used nestles sweetned condensed milk.The the cake was very soft and tasty. Add oil,condensed milk and tutty fruity to the dry ingredients. Slowly add milk and make a pouring consistency (not very loose).If still milk is left then just don't add that to the cake. 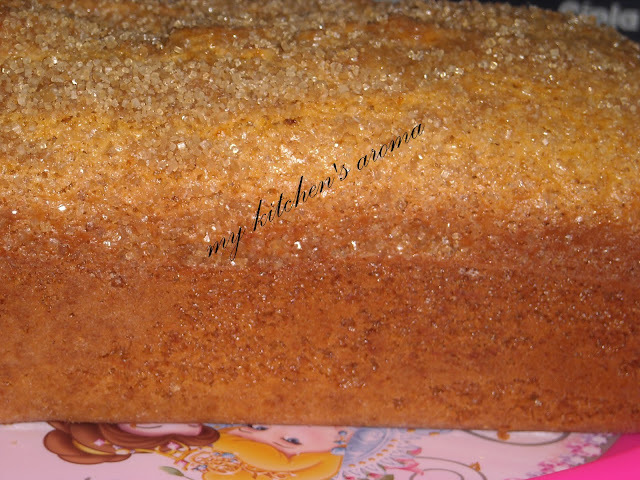 Lastly sprinkle demera sugar on the top. Bake in a preheated microwave oven on convection mode on 200 degrees for 40-50 minutes or until the sweker instered comes out clean. PS:-Be careful while adding milk.Don't just add the entire 1/2 cup of milk.Slowly add the milk and the check the consistency. Delicious and mouth watering. Morever, I being a vegetarian, this fits the bill. 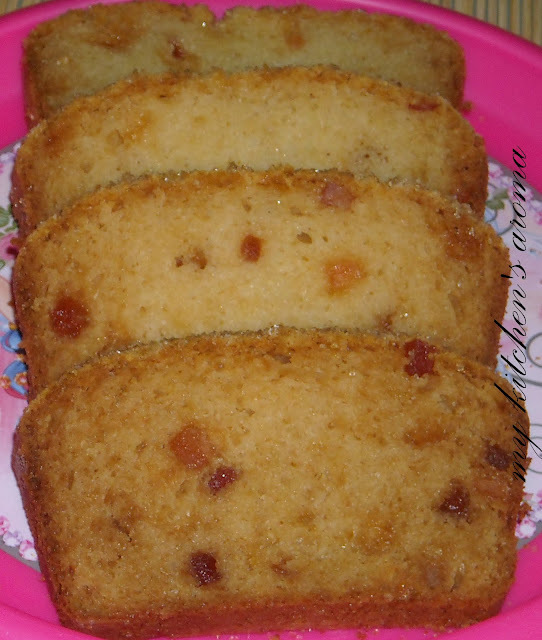 Cake looks moist, spongy and yummyy...not a week back i made them.such a delicious slices..
geeeez.. it looooks amazingly delicious !!!!! cake looks moist dear..lovely cake..
Cake looks really moist and yummy! cake looks pretty moist and tempting my tastebuds!!!! cake looks great varunavi!! very soft and moist. i wish i could taste it. older posts are not accepted... u have time till jan 31st send in ur entries... so come up with some recipe and pls do contribute to the event. been a while since i visited ur blog.. how are u doing? Will surely send u entry,planning to bake a cake today. The cake looks so moist and spongy.Delicious. Thanks for dropping by simplyfood your visit and comments are very much appreciated.